This is a one kg designer chocolate cake, suitable to celebrate all special occasions. This designer cake is garnished with chocolate chips on all sides and cherries on top to treat loved ones. 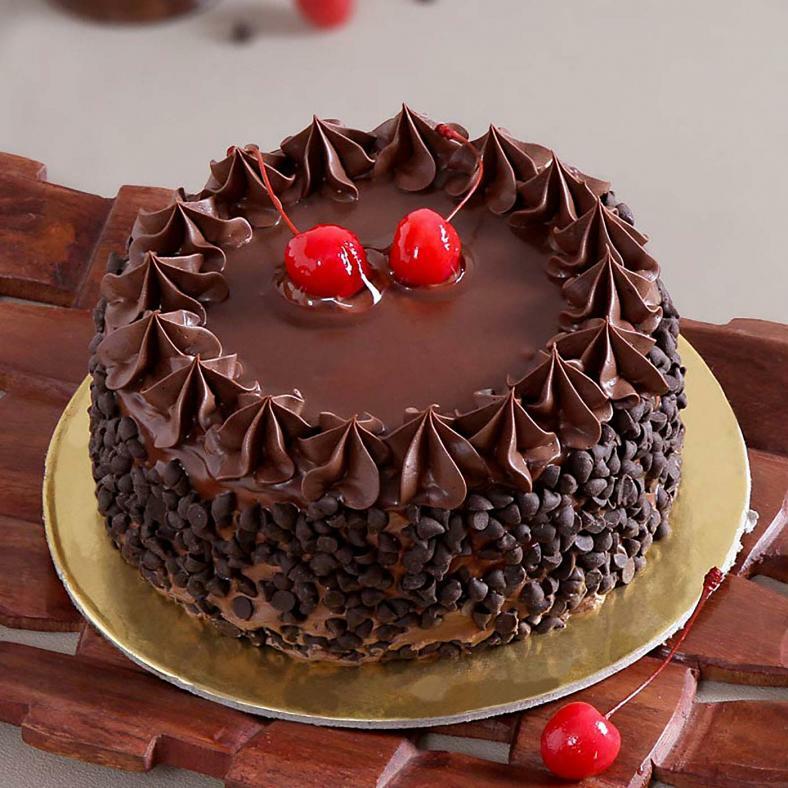 Buy 1 Kg Round Chocolate Cake w/ Chocolate Chips & Cherry Toppings, sold & shipped by IGP India where you can shop online for Send Cakes, Flowers & Gifts to India - Anytime/Anywhere.